I was recently asked to be part of an amazing project for students in Northern Ghana through Tools for Schools Africa Fdn. It's a book called “9 Degrees North: The ABCs of Northern Ghana” and its available now right here. 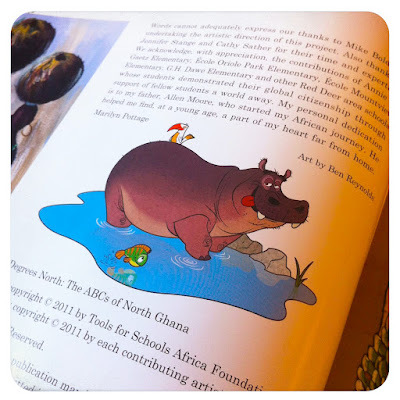 All of the artists in this book donated their time to create a fun, engaging book for students to learn in a really unique way. 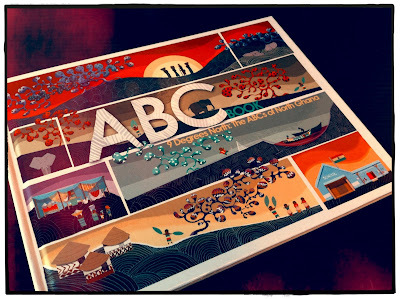 There are beautiful illustrations of each letter of the alphabet by some amazing artists. I joined the project late so I wasn't able to do a letter, but I did a spot illustration on the introduction page. It's a beautiful looking book and you can read more info about how you can send one to students in Ghana right here. Please take a look because its a great cause. Special thanks to Mike Boldt for putting this all together and for asking me to be involved.